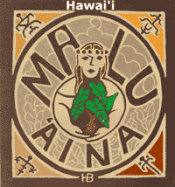 Malu 'Aina » Blog Archive » Behind the fluff news articles — DU Blowing in the wind! Behind the fluff news articles — DU Blowing in the wind! Published by jalbertini on April 24th, 2018 in Military, Pohakuloa, Public Events, Radiation, Social Justice, Take Action!, Vigil leaflets. PTA is a 133,000-acre military training area located in the center of Hawaii Island that has been used for more than 70 years. More than 14 million live rounds are fired annually, from small arms to B-52 and B-2 bombers. The base is contaminated with a wide range of military toxins including radioactive Depleted Uranium (DU). What the articles didn’t say is what’s important. The following Public Service Announcement was sent out to every school on the island one month in advance of the 4/20 PTA 2018 Earth Day event. Parents of young children and pregnant women are warned of the dangers of DU (Depleted Uranium) and other military toxins at the Pohakuloa Training Area! Please view the short video of Dr. Lorrin Pang, M.D., public health officer and retired Army Medical Corps explaining the health dangers of inhaling DU oxide dust particles (See https://vimeo.com/19153948). As Dr. Pang explains, especially vulnerable are young children and pregnant women. Also important, but missing from the news articles was this important fact: At 9:18AM on Friday, April 20, 2018 a Malu ‘Aina certified calibrated radiation monitor hit 68 Counts per minute (CPM) outside the main gate of PTA, 2-3 times background levels. Are DU Oxide Dust Particles Blowing in the Wind?